Magnetic colours. Metallic shine and luminosity. Smoky metals. Mercurial drama. Let the fusion of metallic sparkle all over. And let’s get this party started. A new couture dress code for bestselling shades of Rouge Pur Couture and Touche Éclat for a limited time only. 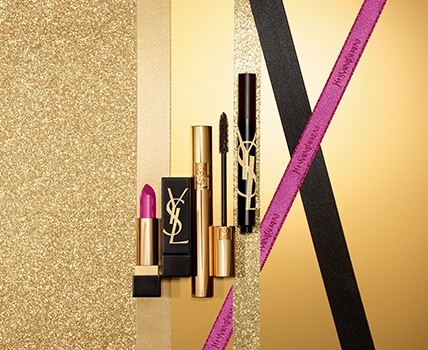 These YSL icons are dressed for the holiday season in matte black casing with the gold Cassandra logo. 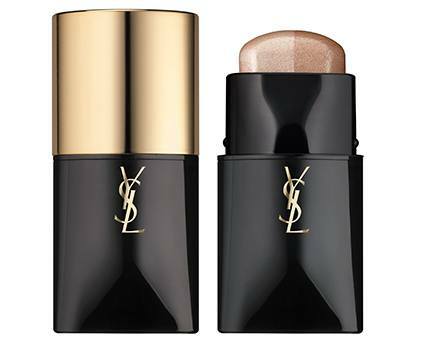 Complete the collection with a limited edition Face Highlighter to scupt and highlight, as well as on-trend limited edition shades of Tatouage Couture Matte Stain, Rouge Volupté Shine and La Laque Couture for the finishing touches to ooze glamour, luxe and rockstar style throughout the holiday season. 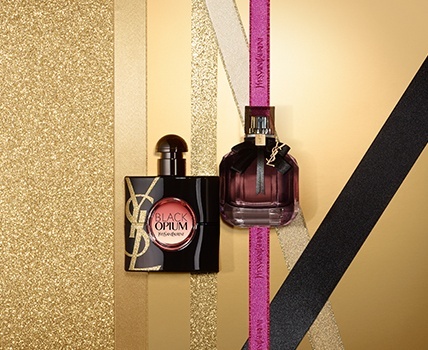 Choose between these year’s two limited edition fragrance collectors: go glam rock with the seductive coffee notes of Black Opium or add romance with the spellbinding florals of Mon Paris.